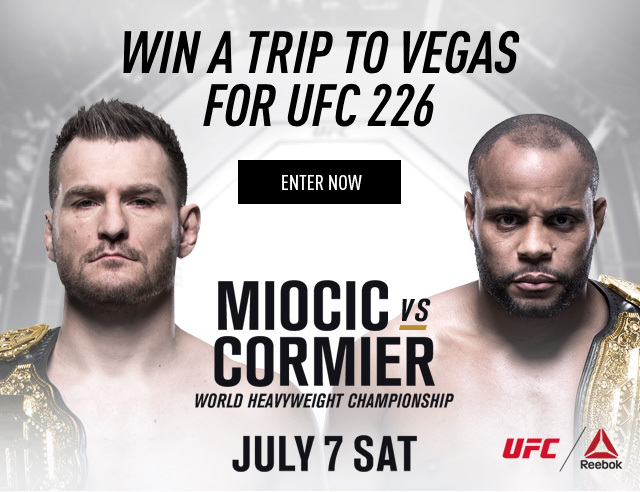 Want To Win A Trip To UFC 226? *NO PURCHASE NECESSARY. A PURCHASE WILL NOT INCREASE YOUR CHANCES OF WINNING. OPEN TO LEGAL RESIDENTS OF THE 48 CONTIGUOUS UNITED STATES (D.C.) 18 YEARS OR OLDER. VOID WHERE PROHIBITED. Sweepstakes ends 6/17/18. For Official Rules, prize descriptions and odds disclosure, visit http://reebok.com/us/ufc. Sponsor: Reebok International Ltd., 25 Drydock Avenue, Boston, MA 02210. Void in AK, HI, the US Territories & where prohibited. *First 100 customers who purchase select items will receive a free copy of the book with code RISE. Limited quantities available. *Free ground shipping offer on orders of $49 or more valid to U.S. addresses only. All offers valid on domestic U.S. orders only. REEBOK is a registered trademark of Reebok International Limited. EXTRA $20 off Select Nano Black Gum.